Last November I went to a discussion on what should be done about downtown buses and in particular the impact of the closure of one block of Robson behind the Art Gallery. 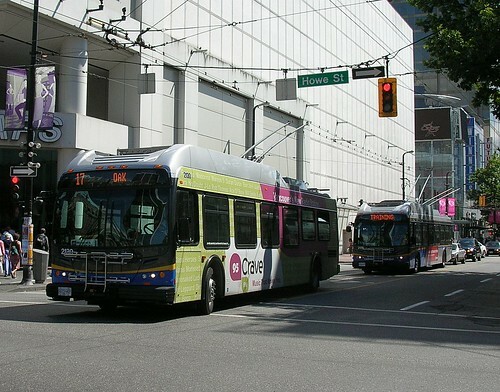 You can now review Translink’s proposed bus route alternatives and comment on them. As I very rarely use any of these routes and I do not consider myself any kind of expert in the field of bus routing in general (I leave that to Jarret Walker) or downtown Vancouver (that’s Gordon Price) I will refrain from further comment. As it happens you can also see what is proposed for Robson Street tonight at the Art Gallery. Last year, Metro Vancouver’s transportation authority received a total of 36,390 complaints, up from 32,617 in 2012. The number of transit-related complaints went up about 10 percent, to 31,595 in 2013 from 28,408 in the previous year. Transit service and ridership both decreased in 2013. Service hours were tightened [I think that means reduced] to 6.792 million from 6.927 million. Boarded passengers declined to 355.2 million from 363.2 million. By the way, of the transit-related complaints, 28,494 pertained to the Coast Mountain Bus Company, 1,526 to HandyDART, 599 to the West Coast Express, 551 to the Expo and Millenium lines, and 425 to the Canada Line. But in case that is all too negative for you here’s Daryl’s latest take on improved efficiency. Closing one short block on a transit route is ridiculous. I have walked there each summer and it just look silly. A so-called pedestrian friendly short block with no stores is an oxymoron. 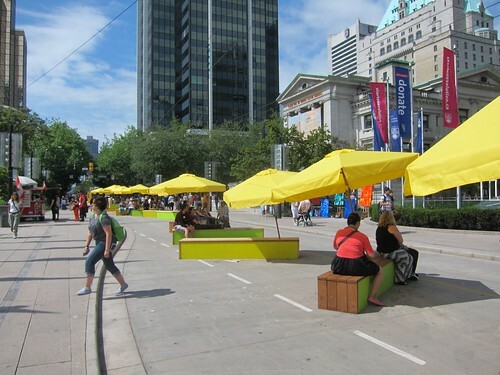 If Robertson is serious about a green Vancouver he should, at the very least, have most of Robson car-free. Instead of the current big buses we could have electric shuttles…this has been done in other cities..